Studies show that an average woman applies about 500 chemicals in her grooming and make-up routine everyday. I’m not going to the office today and will stay home for the day, so I skipped my BB cream, my blush on, my concealer, my sun block, my lipstick and my compact powder. Let’s say I passed over at least 300 chemicals today. Women may not be conscious about it, but the moment they shampoo, they dab lipstick, color their nails, and do any other rituals that necessitate substance for beauty enhancement, they’re actually exposing themselves to potentially harmful chemicals. Over the years there have been studies that a lot of these cosmetics products contain prospective hazardous substances and the overwhelming truth about this $60billion cosmetics industry is that they’re the least regulated. This ugly reality about beauty products has raised awareness and called on women health advocates to act on this matter. The trade-off is so immense to ignore that many women like Maureen Kelly, The CEO and Founder of Tarte, a self-confessed make-up enthusiast herself stepped in to find alternatives to address this cosmetics-related health threat, consequently, her eco-friendly, organic and natural cosmetics came into play. Today, I’m one of those lucky women who have reaped the fruits of this endeavor, we can now buy Tarte cosmetics products that are not only effective and chic but glamorous and healthy, not to mention cruelty-free and furthers environmental sustainability as well. Tarte carries a wide-range of natural beauty products – for lips, cheeks, eyes, skin care and every woman’s must-have,beauty brushes and tools. Often natural and organic cosmetics are priced outrageously, but you’ll be surprised to know that other than the high-performance and 12-hour power quality of TARTE, they’re also priced so friendly every woman of different stature can afford to cart-off a set or two. I’m somewhat stuck on this notion that budget-friendly cosmetics also comes in a-not-so-nice packages, but TARTE just brushed that ugly misconceptions out of my beauty psyche, TARTE made sure their products are packaged in glittery, glamorously as the women who will use it, they’re simply sensational. 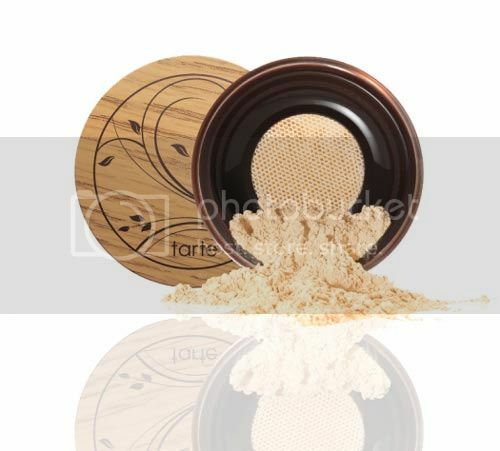 Tarte cosmetics recently came up with a product line that uses a breakthrough natural ingredient called the Amazonian clay; this is nature’s perfect natural element that if combined with science and technology lets you wear your make-up longer, truer and better. Curious? Head up to http://tartecosmetics.com to try out this natural product today and please don’t forget to share your experience with us.